WASHINGTON—U.S. 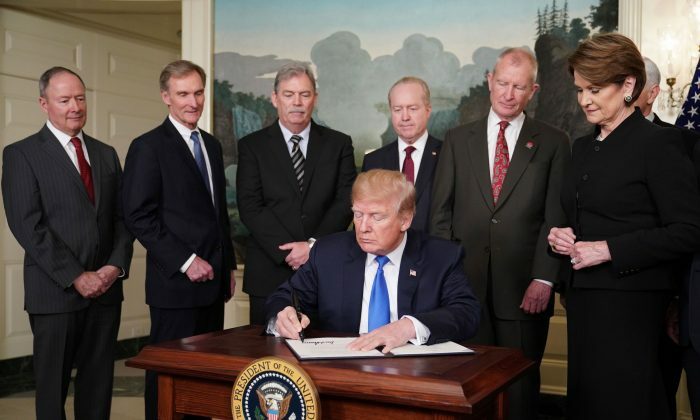 negotiators are preparing to press China next week on longstanding demands that it reform how it treats American companies’ intellectual property in order to seal a trade deal that could prevent tariffs from rising on Chinese imports. A new round of trade talks begins in Beijing on Feb. 11, following up on the most recent set of negotiations concluded in Washington last week without a deal and with the top U.S. negotiator declaring a lot more work needed to be done. Lighthizer, who Trump named to spearhead the process after agreeing a 90-day truce in a trade war with Beijing, has been a strong proponent of pushing China to make such reforms and end what the United States views as unfair trade practices, including stealing intellectual property and forcing U.S. companies to share their technology with Chinese firms. “I’m by no means predicting success; there is a lot of work that has to be done,” he said about the talks. Trump said on Thursday he did not plan to meet with Chinese leader Xi Jinping before the March 1 deadline, dampening hopes that a trade pact could be reached quickly.